Dear Fam!! Today I wanna stimulate your enthusiasm as well as will to improve and learn always something new, by introducing you to a way of combining some basic exercises typical of Calisthenics with some a bit more advanced. 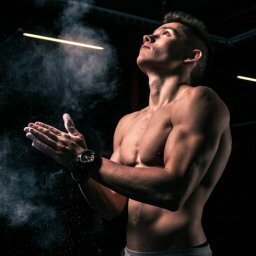 This technique will definitely help you to improve your overall way of training with Calisthenics exercises. We are talking about advanced Calisthenics exercises better known as compound exercises. Soooo…let’s get straight to the point!! Whenever you hear talking about advanced Calisthenics exercises, you should think about a combination of (at least) two basic exercises performed simultaneously providing a more intense effort and so forming a compound exercise. This means that, in this way, if both exercises taken individually were already too easy for your CNS and for your body, by combining them you provide both (CNS and body) with a whole new stimulus. The fact is that, compound exercises are excellent ways to increase your overall strength, mostly helping not to be stuck in a specific phase of a skill in terms of progression. 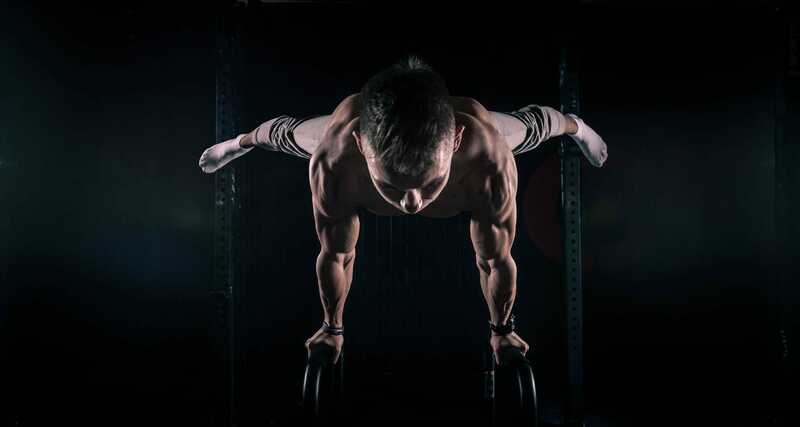 Let’s take a look more in depth on which are the most common and effective advanced Calisthenics exercises, hence compound exercises, so to start including them in your future workouts. WHICH ARE THE MOST COMMON TYPES OF COMPOUND EXERCISES? Well, first of all you have to think about the most common exercises of Calisthenics performed either on the bar, on rings or on parallettes such as L-sit, planche (in whichever progression), pull-ups, support hold on rings, inverted dead hang and inverted pike on rings and many more. Worthless saying that, you must have mastered and have full body control in performing all the exercises above. L-sit to tuck planche hold (and all the other progressions): learning separately how to hold correctly an L-sit with legs straight (full form) as well as at least a tuck planche hold or how to perform a tuck planche push-up, is the next step to get into a transition work. It would be very interesting and challenging to combine them in a unique transition. Start by holding for few seconds an L-sit on parallettes (easier version to start with) and slide backwards with your whole body so to get straight into a tuck planche hold or perform a tuck planche push-up before going back to the L-sit hold and repeat all over again. By doing so you have chance to experiment that transition that allows you to understand the important difference between having shoulders completely depressed, so to hold correctly an L-sit, and then get the shoulder blades into a protracted position so to hold the tuck planche or to perform a tuck planche push-up. You also have chance at the same time to strengthen both shoulders thanks to the transition from the L-sit to the planche, whichever variation you choose. L-sit to shoulder-stand: this is a transition work that helps a lot to approach an eventually achieve the handstand on parallettes. For sure, you must have a well-developed shoulder strength, because passing from the L-sit to the shoulder-stand hold, you must have a good control of your body. L-sit to handstand: more advanced variation of the previous exercise, where instead of getting into a shoulder-stand, you have to perform a handstand push-up so to reach the full extension of your body and then lower it back to the L-sit hold. L-sit to handstand to 90° handstand push-up on the ground or on parallettes: ok the definition itself seems a little tricky to understand, but if you think about this transition work, you can correctly figure out the steps it’s made of. First of all, get into an L-sit hold like before, go into a handstand and then perform a 90° handstand push-up, hence finishing with your elbows bent in that angle. Inverted dead hang to inverted pike on rings: very interesting transition work, one of the most common when approaching rings’ basics. In this case, you have to start by hanging upside down on rings holding the hollow body, hence in inverted dead hang and from that position close your legs towards your chest so to form a pike. Here, mobility comes in handy a lot more than other exercises, since the more flexible you are in your lower back and hamstrings, the easier will be the movement to perform. Great transition work that targets the stability as well as core strength, thanks to both type of holds, so to have a better control of the whole body while hanging on rings. 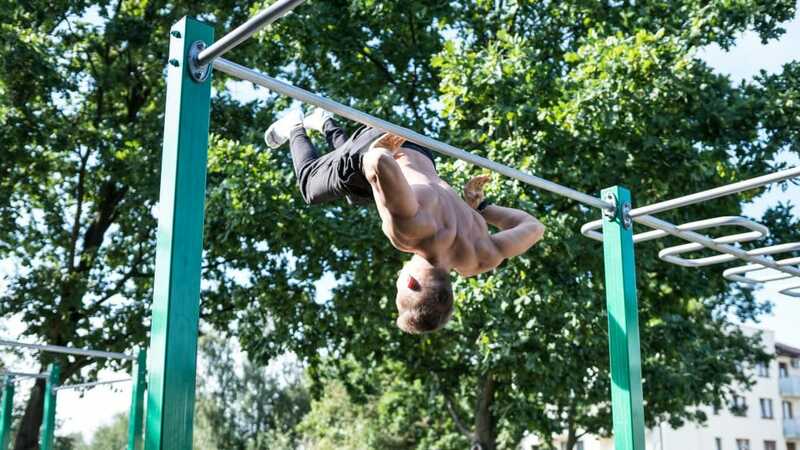 Inverted dead hang or/to inverted pike to back lever on rings: since back lever is one of the first levers learned when approaching Calisthenics and since is definitely easier than a front lever to perform, it can be combined on rings, with the two above elements just seen. The fact that, on rings you have a far bigger range of movement, allows you to be more creative than on a bar. In this case, you can put a lot of work in by combining for instance an initial inverted dead hang with a back lever, or with an inverted pike. Otherwise, you could also increase the difficulty and combine contemporarily all the three different exercises in one unique transition work, hence starting from an inverted dead hang, going into an inverted pike and ending with a back lever hold. Eventually, in order to come back to the initial position so to the inverted dead hang, you could also try a back lever pull at every repetition and become stronger and stronger. Tick-tock (back lever to front lever or the other way around): definitely, another of the most common, but also quite advanced, transition works you can learn on rings. Here is implied the fact that, before even attempting such combination, you must have mastered both levers on rings. If you try attempting this transition work without the required levels of pulling strength in your lats, so to keep always your arms straight, this will lead you to injuries due to the lack of form. This compound exercise targets in deep way shoulders and shoulder blades, since in both cases, you have to lean forward or press up with your shoulders enough to let your body get into a full planche lean or, at the opposite, into an L-sit hold. This means that, you have also to be quite mobile enough to perform a pike stretch because the closer you are able to get with your legs to your chest, the easier will be to get into the next position either is the full planche lean from the L-sit or the L-sit from the full planche lean. As you can see, here I tried to include all the main compound exercises I had in my mind, but the list is still quite short, since there are so many that have to be found out and I’ll leave this task to you. For this main reason, I will stop here by telling you that, it’s very important in order also to avoid plateaus, not to think only in an “ordinary way”, but out of the schemes! Think always about how you can work your way around the skills, finding new compound exercises that can help you become a better overall athlete, more dynamic and not only limited to the typical exercises you already know and that you’ve seen/watched plenty of times on YouTube. For “more dynamic” I refer to the fact that, you do not have to think that only the exercises that are targeting that specific skill, are the ones deputed to do so. In Calisthenics, each exercise coming from the development of another skill, can come in handy for multiple purposes, see pull-ups and push-ups. Both are needed, not only for developing the strength as main requirement of Calisthenics, but more specifically to start working on the lever holds for instance and at the same time in order to approach the human flag. That’s why compound exercises, by combining drills from different skills, can make you work a lot better and “complete the whole puzzle” at once. USE YOUR FANTASY AND BE CREATIVE!! Welcome to our fam! If you wish to get more information and suggestions regarding the approach to compound Calisthenics exercises, you can get in touch with us via Facebook on our Forum “Caliathletics Army”, Instagram or you can email me directly to mattia@caliathletics.com so I can try to help you with your request.